This wine writer took the scenic route to discover Italy's vineyards—without knowing Italian or how to drive a standard. My first mistake was that I never learned how to drive stick. My second, more egregious error was not knowing how to speak Italian. A few weeks after I turned 21, I embarked on my first solo wine trip to Italy. 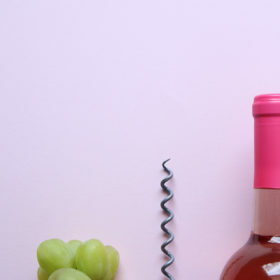 I’d become increasingly infatuated with wine, and I’d even tricked my college newspaper to let me write about it. The time had come for me to chase it abroad. It was early in the 2012 harvest when I landed in Torino with an itinerary to visit nearly a dozen wineries throughout the Langhe. I was as prepared as I could be. Or so I thought. At the rental car office, I heard the first of many exasperated mamma mias from the agent as I tried to explain that I couldn’t drive the stick-shift car I had reserved. The only one left with an automatic transmission was a Smart car, and I’d have to pay extra. I grabbed the keys, crammed in my oversized suitcase and set off for Piedmont. I made it all the way to Asti before I realized that I’d been driving in low gear. Feeling overwhelmed and distressed, I stopped to regroup over a glass of Moscato d’Asti and recalculated the route to my hotel. My first visit the next morning was a disaster. I thought I was driving to a winery’s tasting room, but somehow I ended up at the family home. The winemaker’s wife didn’t speak English, but she tried to help by arranging an impromptu tasting in their kitchen. 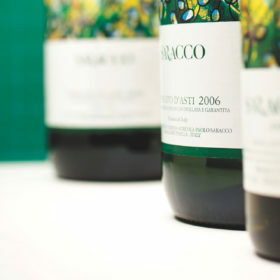 I struggled to express how beautiful and profound I found the wines to be. She just shrugged, repeating “mamma mia” and “mi dispiace,” over and over again. The next day, en route to Massolino in Serralunga d’Alba, I got lost after the GPS signal cut out. My little car struggled to climb steep hills and drive down gravel roads, but I eventually made it, panicked and an hour late. I began to worry that I’d made a grave mistake when I embarked on this trip. Maybe I wasn’t cut out to be a wine writer, after all. But a funny thing happened as the week progressed. I grew more adept as I navigated the hilly region. The Smart car never failed me, even in the moments when I was afraid that I was failing myself. 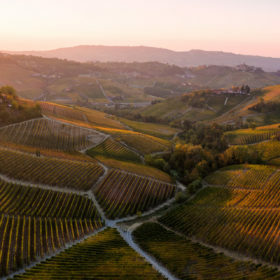 By the time I had tasted through several vintages of single-vineyard Barolos at Vietti on my last day, I’d nearly forgotten about all those earlier mishaps. I was finally finding my way.